Raisins are a delicious snack, but did you know there are many benefits of raisins? In addition to increasing energy, they contain a slew of substances that can help alleviate many minor health issues. Raisins are made by dehydrating fresh grapes. They are part of the dried fruits group, delicious for cooking or eating them alone. They are a preferred snack for children, for those who love bittersweet foods and for those who enjoy sweets. 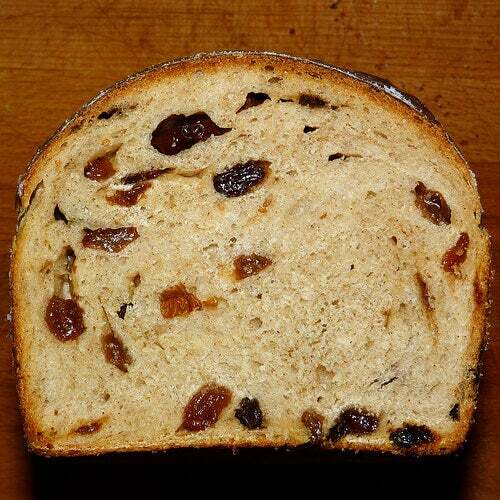 Raisins have a soft and fleshy texture. Learn more about the benefits of raisins and the different ways to eat them! Raisins contain all the nutrients of fresh grapes but at more concentrated levels. They offer lots of rapidly absorbed carbohydrates and 70% fructose. Raisins are recommended for children and adolescents because they provide a lot of energy. Additionally, the benefits of raisins extend to athletes who exercise daily. For the same reason, they can help people who need to gain weight. Raisins are also used to treat anemia by providing iron, copper, and manganese. 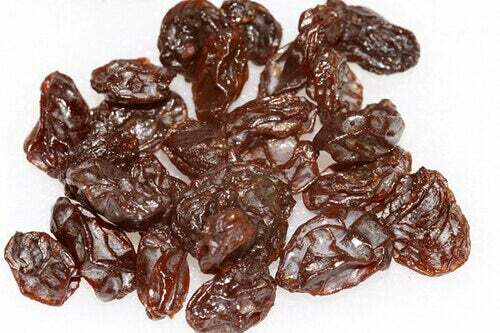 Raisins are invigorating and restorative, with high doses of minerals and vitamins (from group B). They are very good for those suffering from physical exhaustion, stress, or chronic fatigue. Furthermore, they are suitable for students and the elderly, because they help improve brain function and may prevent memory problems. 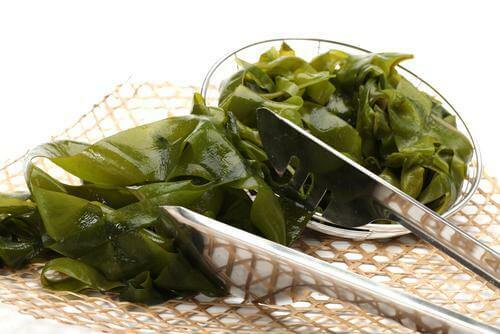 They are also a great source of flavonoids, antioxidants, and myricetin, which may protect against Alzheimer’s disease. Eating raisins is ideal for alleviating constipation due to their mild laxative properties, organic acids, fructose, and pectin. The latter helps cleanse the intestines and form bulkier feces. 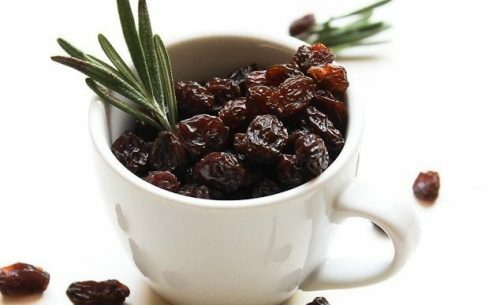 By treating constipation and cleaning the colon, raisins may also help prevent colon cancer. Raisins contain phytonutrients, useful for protecting eye health. Phytonutrients can help protect the eyesight from the effects of oxidation and the passing of time, improving the circulation of blood and nourishing the capillaries. They are perfect for when your eyes are tired or if you suffer from glaucoma, night blindness or cataracts. 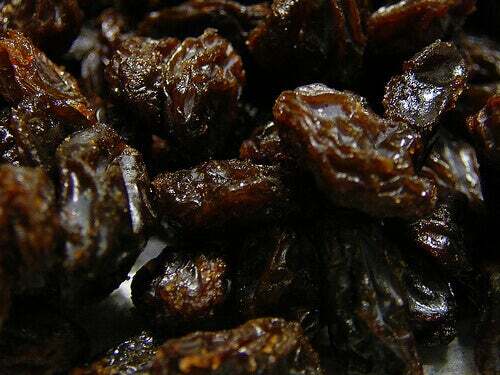 Raisins contain high levels of calcium and magnesium, very important nutrients in bone development. These nutrients help protect against osteoporosis and improve joint health. Raisins are recommended for women during pregnancy or while lactating, when calcium needs are very high. Raisins can also help people with arthritis or osteoarthritis (because they also have analgesic and anti-inflammatory properties). They are suitable for reducing the harmful effects of the excess of proteins found in “decalcifying” foods such as carbonated cola or coffee. In several countries, raisins are considered a powerful aphrodisiac. Therefore, they are included in many different desserts and sweets. 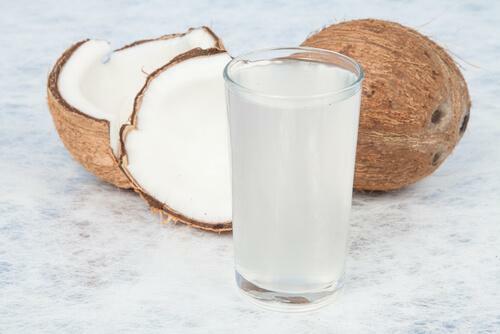 This is mainly due to their energizing properties and high concentrations of amino acids (arginine). Amino acids have been closely related to increased sexual libido, treating impotence and infertility. In Ancient Egypt, people would prepare a dessert made of raisins and honey for intimate encounters. Raisins can help treat a fever because they contain more organic acids than fresh grapes, providing all its refreshing properties for reducing fever. Also, raisins have antibiotic properties and can help treat infections. 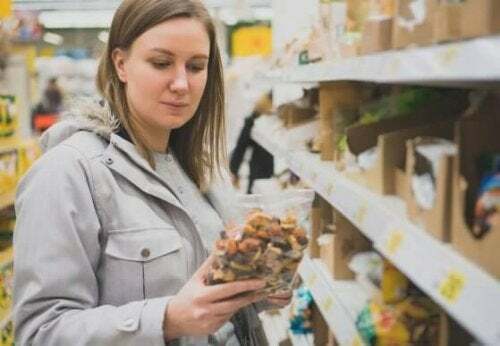 While it is said that raisins are not “allowed” for obese people, because they are relatively high in calories, it is proven to be quite the opposite, since they reduce cholesterol and appetite, as well as providing satiety. Raisins are also a natural remedy that helps prevent the urge to eat candies or sweets. It is advisable to consult with a doctor because they contain a lot of sugar. Acidosis is a condition in which blood acidity and respiratory gases increase, which is very harmful to our body because it can create kidney stones, gout, tumors, cancer, arthritis, hair loss or skin diseases. Raisins have a lot of potassium and magnesium and help reduce the development of these acids. One of the compounds of the raisins is oleanolic acid, which plays a fundamental role in protecting teeth against decay, sensitivity, and fragility. They prevent the growth of bacteria primarily responsible for tooth decay and plaque. Moreover, as a food rich in calcium, they help prevent breakage or damage of the tooth enamel. 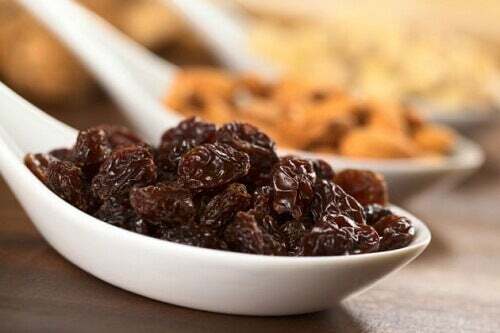 Catechin is an antioxidant present in raisins, which is very effective in removing cholesterol and cleansing the arteries, preventing cardiovascular problems. They also serve to regulate blood pressure (ideal for those suffering of hypertension) and help improve blood circulation. 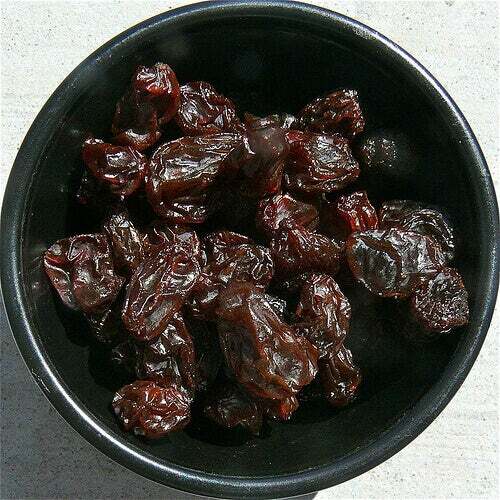 Raisins are extremely delicious so you can eat them alone or in various desserts, savory dishes or semi-sweet dishes. Images courtesy of Cary Bass Deschenes, Jenn Durfey, Larry & Teddy Page, Jim Champion. Goraya, N., Simoni, J., Jo, C. H., & Wesson, D. E. (2013). A comparison of treating metabolic acidosis in CKD stage 4 hypertensive kidney disease with fruits and vegetables or sodium bicarbonate. Clinical Journal of the American Society of Nephrology, 8(3), 371-381. Utreja, A., Lingström, P., Evans, C. A., Salzmann, L. B., & Wu, C. D. (2009). The effect of raisin-containing cereals on the pH of dental plaque in young children. Pediatric dentistry, 31(7), 498-503.